A new study led by Amitai Abramovitch, assistant professor in the Department of Psychology at Texas State University, shows that individuals with obsessive-compulsive disorder (OCD) are significantly less likely to become overweight or obese. 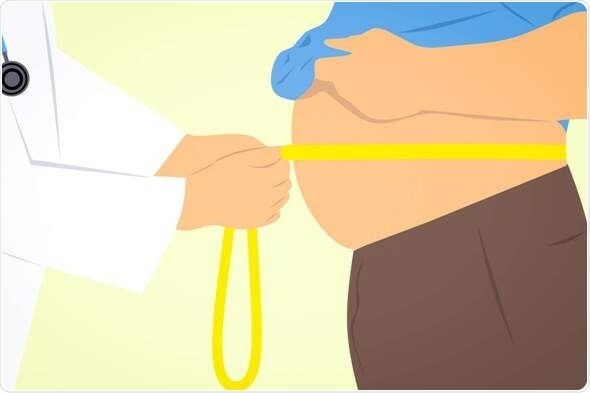 The research by Abramovitch and colleagues examined the relationship between psychiatric disorders and elevated body mass index (BMI). The results, "Body mass index in obsessive-compulsive disorder," appear in the Journal of Affective Disorders. OCD is a condition that affects more than 8 million people in the U.S. alone. The study found a positive aspect related to OCD, where individuals with OCD are up to 50 percent less likely to be overweight or obese compared with individuals with primary depression and anxiety disorders—as well as compared to the general population. In other words, in this study, a status of ‘not having OCD’ meant up to 200 percent increased likelihood of being overweight or obese compared to people diagnosed with OCD." These conclusions were reached while several factors were taken into account including age, gender and education. Historically, studies have shown that obesity is a risk factor for psychiatric disorders (primarily depression), and conversely, that depression is a risk factory for obesity. Abramovitch's study also found that the strong protective factor against obesity largely disappears in cases where people with OCD suffer from a secondary Major Depressive Disorder in addition to OCD. Abramovitch’s previous research demonstrated that OCD may be a protective factor against cigarette smoking, and that this effect is carried even in unaffected first-degree relatives of individuals diagnosed with OCD. In both cases, the authors suggest a neurobiological and psychological model of reward and anhedonia (inability to experience pleasure) specific to OCD, that highlights how prolonged engagement in compulsive rituals may result in reduced ability to experience positive reward and pleasure, in general—even when it comes to food and tobacco smoking. However, the authors note that more research is needed to understand these causal relationships, and that this phenomenon may be reversible by targeting anhedonia as part of psychological treatment for OCD.